Shop our faves for the holidays! Happy Tuesday, Readers! 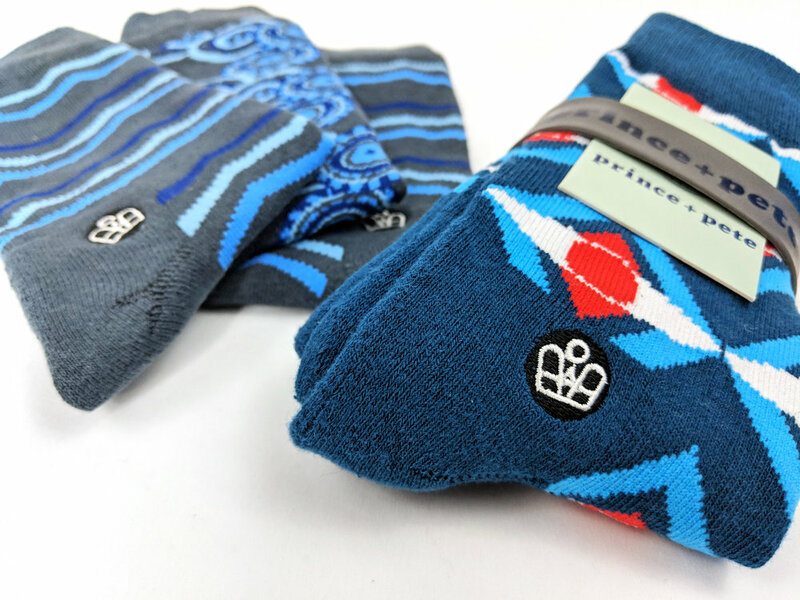 Here at The Sock Review, we're getting in the holiday spirit; humming festive tunes and pulling out all the stops when it comes to wearing fun socks! We want to share our good cheer with YOU, so we've prepared our very first annual holiday (socks only) gift guide. From that perfect quirky stocking-stuffer for your favorite co-worker, to the soft & luxurious pair that your mom would appreciate the most, we are certain you will find something for everyone on your shopping list! So turn on the cheer and browse our selections for the year! Want to shop? Just click on an image to check out each brand's website! Good morning readers! I hope you're enjoying this brisk November day (I can't believe we're in November already!). As I woke up this morning, I felt a chill in the air, so my first thought was to pull out my Life is Good cozy socks from my designated sock drawer. What I absolutely love about them is that they're made up of two layers; one is the knit outside stripe design, and the inside is a cozy and warm chenille - very soft on my feet. It feels like luxury when I wear them, in a sense that I know my feet will stay nice and toasty all throughout the day. I tend to buy socks at gift shops when I'm traveling - mostly for inspiration for the blog, but otherwise for myself. My Do you find yourself buying socks mostly for yourself or to give as gifts? For the upcoming holiday season (Yes, I'm an early shopper, I like to pace myself), I plan on giving quite a few legwear products to my family members as 'stocking stuffers.' My mom has requested leg-warmers, which I find an admirable demand as they are very functional in the winter, and given the right outfit, can be styled quite nicely. Well, back to the day; whatever you have planned today, I hope you stay warm and cozy! (Unless you're on the other side of the hemisphere, then you're probably plenty toasty! Cheers and check out some more socks on Instagram @thesockreview. Where You Can Buy: Life is Good Online Shop *disclaimer, this style is about two years old, so I'm not promising they'll still be up there - but if you check out some gift shops, you may be able to find them. I bought mine in Colorado. Enter A Submission For our First Annual Holiday Gift Guide! Have a sock brand or related legwear product that you think would make the best Holiday gift this year? 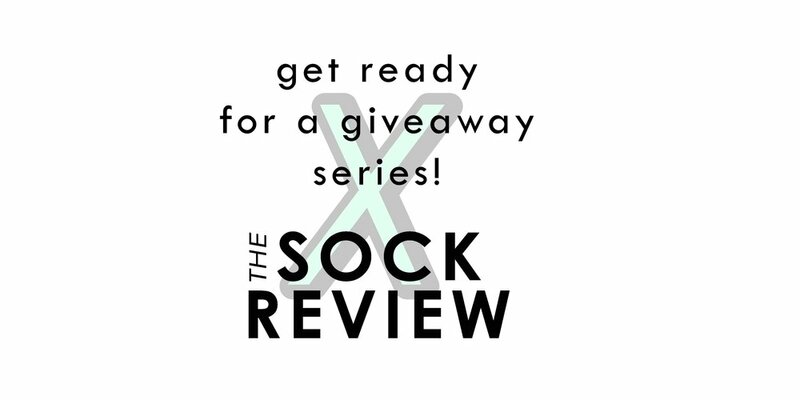 Here's YOUR chance to submit to The Sock Review's first ever Holiday Gift Guide, 2017. 1. Send submission through our contact page with subject title "Gift Guide 2017 Sock Product - (Your Brand Name Here)"
2. 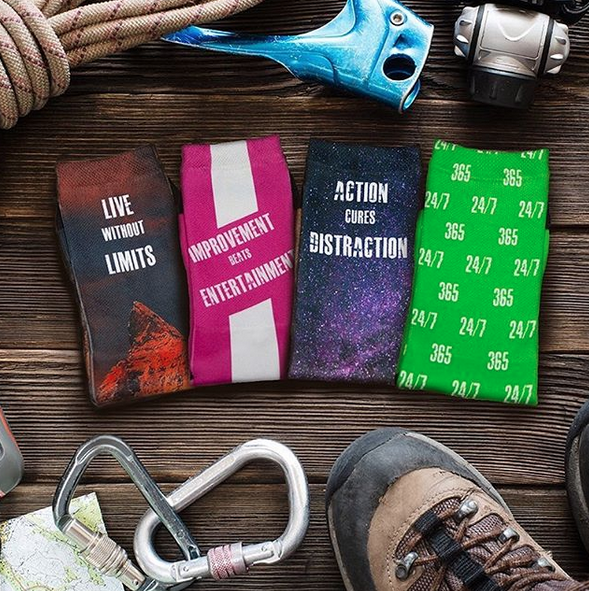 A brief description on why your sock brand or product would make an excellent addition to this year's gift guide! 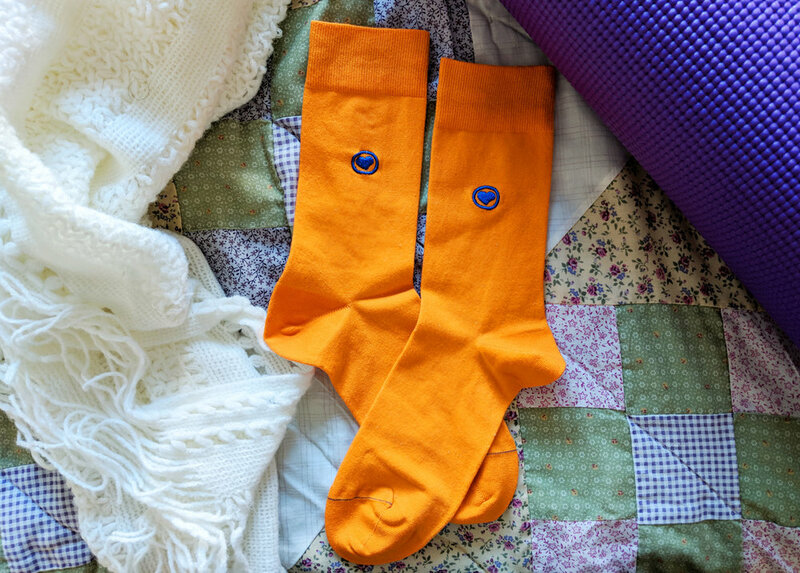 Make it fun and tell us what sets your socks apart from the rest. 3. A link to your site so we can share on social media. 4. Don't worry if you're not selected, we'll keep you on file for future posts or features on our blog! We're always looking for great product to write about. 6. Be prepared with a gorgeous, tasteful, hi-res image of your product (up to 5 photos will be accepted for review, no more than that) - must have ownership or rights to the image you submit. *We reserve the right to reject any material we find does not fit the integrity of the blog. 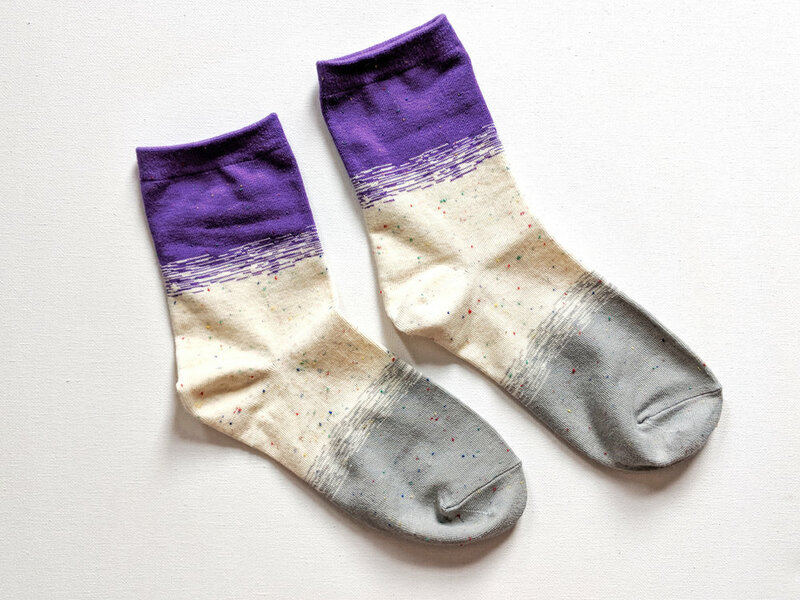 Hi fans and avid sock-lovers out there! Coming back from a beach vacation, I wanted to share some findings :) Sorry, no pictures though, I was also taking a vacation from technology as much as possible. While at the beach, I saw a lot, and I mean a lot of black and white crew socks being worn on the boardwalk. Mostly Nike basic socks, that familiar logo standing out again the solid ground. These crew socks were worn by mostly a Millennial and Gen-Z crowd, not surprisingly, and were paired with black or white sneakers. Very bold, very simple, and I loved it. Other socks I found in display windows were Tabi socks for flip flops and sandal-wearing. (Tabi socks are the ones with a single space for the big toe, and another space that holds the other four toes together). The Tabi socks were white, and merchandised with a black pair of sandals. I thought this was very interesting as well. Those were my findings, take them as you like! 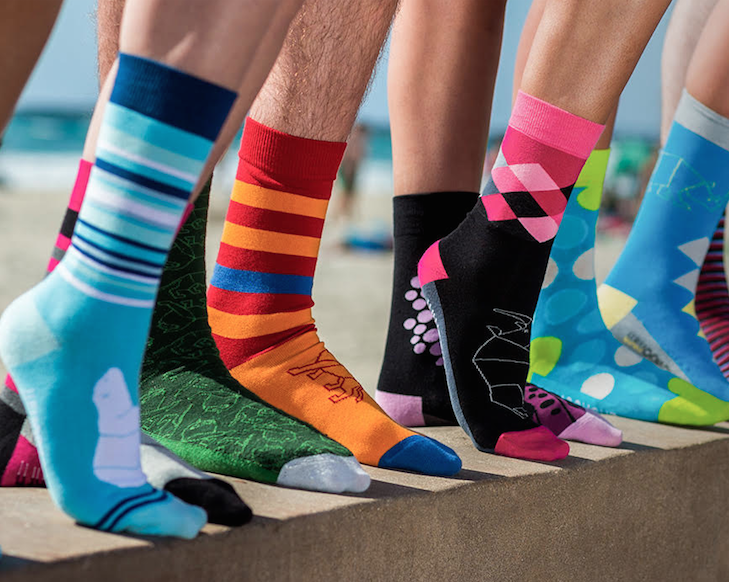 Show off your amazing socks this summer, even at the beach my friends.